for all of our 2019 Auctions. Accepting consignments for all 2019 Auctions! We plan to hold monthly auctions, each closing around the 20th of the month. Except in months when a LIVE auction is being held. 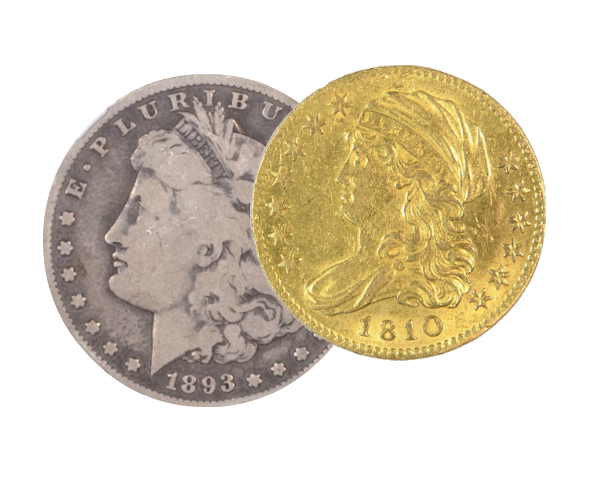 MintProducts Auctions sells all types of numismatic items. 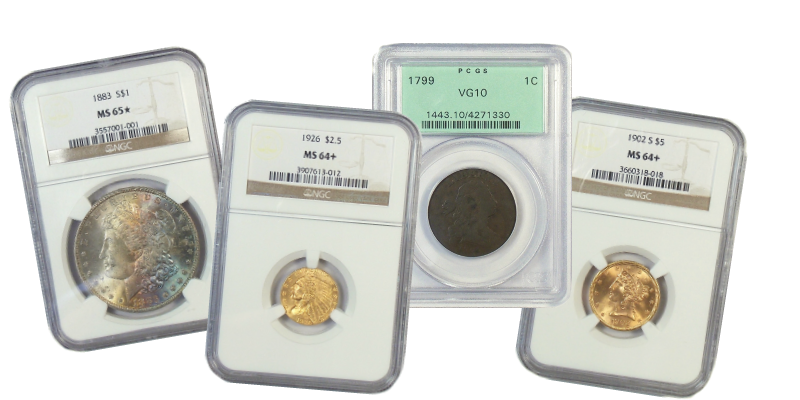 If you are interested in selling any coins, whether they’re U.S., World, or Ancient, it will pay to contact us! 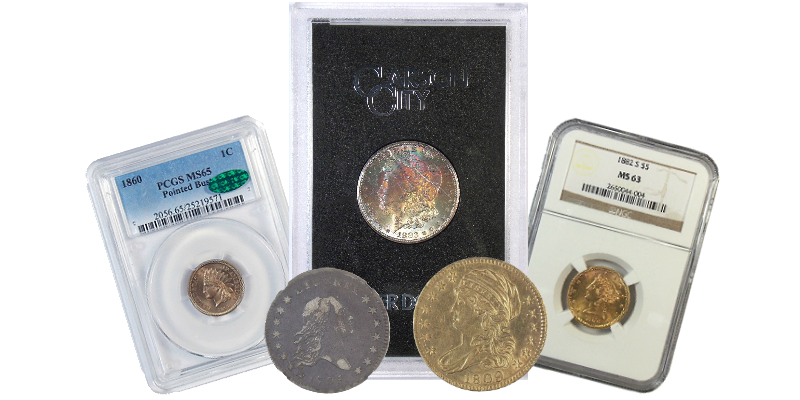 We have a large customer base that is also interested in Tokens and Medals as well as Paper Currency. If your consignment warrants it, we will travel to you to view and take delivery of your items. If you don’t have the necessary time to auction your holdings, we are also able to make outright purchases. View all past auction lots with prices realized here. View past auction highlights with prices realized here. Looking to consign in the next auction? Click Here to access an MPA Consignment Form you can fill out and send to us. Gold and Silver Coins, Attractively Toned Coins, Proof Sets, Mint Sets, Copper/Colonials, Exonumia and Tokens + Medals, Silver Dollars, Key Dates, Modern Issues, Type Coins, Canadian Coins, World Coins, Paper Money (Currency), Error Coins, Rare Coins, and more. Looking for Prices Realized from our past auctions? Click Here.